Romeo's Pizza is expanding in the Canton area and is scheduled to open a new store in Jackson Township, Ohio in September. Romeo's Pizza has pinpointed several areas for development and will be expanding in the Canton market. The Jackson Township Romeo's Pizza will open in late September. Mike Russo, one of the franchise partners of the Jackson Township Romeo's Pizza, is excited about adding this 5th store to his ownership portfolio. The Jackson Township Romeo's Pizza will be located at 4887 Portage Street, NW and will offer carryout, delivery and catering to the residents of Jackson Township. This store will be the fourth Romeo's Pizza location in the Canton market. Romeo's Pizza also has stores in Louisville, Perry and Hartville and have plans for future growth in this market. Romeo's Pizza has been on a strategic growth plan since early 2013 and have plans to grow the brand with existing franchise partners and is also seeking new franchise partners. Single and multi-store opportunities are available throughout Ohio including the Cincinnati and Dayton markets. Area development opportunities also exist outside of Ohio. Romeo's Pizza offers ongoing training and support in leadership skills, financial analysis, local store marketing, strategic planning, product training, safe food handling and business development. If pizza is your passion and you want to join an award-winning brand, please review additional information at http://www.romeospizza.com/franchising.php . 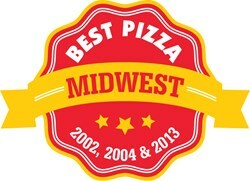 Romeo's Pizza has won over 20 different awards for their pizzas including the Best Gourmet Pizza in America with the Great Ranch & Potato Pizza, the Best Pizza in the Midwest 3 times with the Butcher Shop Pizza and the Best Pizza in Columbus four years in a row--2009, 2010, 2011 and 2012. Romeo's Pizza has been featured on the Food Network. Romeo's Pizza has grown from a single store in Medina, Ohio to 30 locations throughout Ohio. Full menu and list of locations are available at http://www.romeospizza.com.